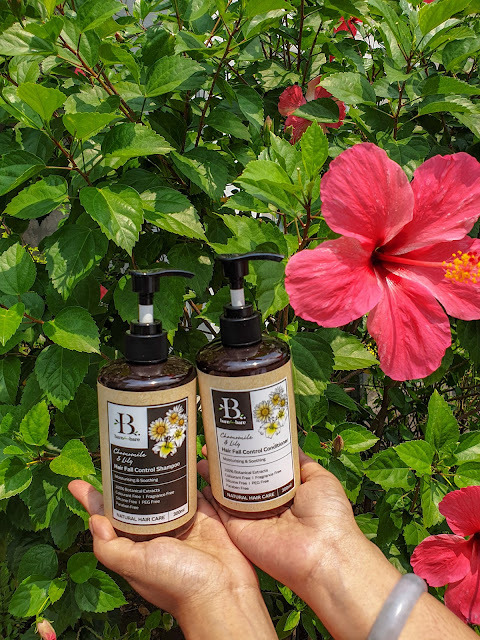 For those who have hair fall issue, you can opt for Chamomile and Lily the moisturizing and soothing shampoo and conditioner. With 100% botanical extract, with no-nonsense ingredients like artificial fragrance, paraben, colorant or PEG or silicone. In fact, this haircare contains florals extract that brings so much benefit. It felt like I have been rejuvenated with nature power every time I used them. Another plus point, they make my hair smells amazing thanks to all the plant-based ingredients. 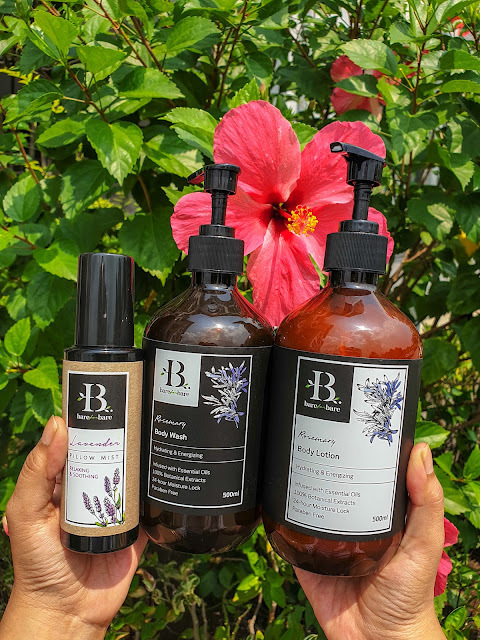 I can easily say that if you ever tried high end botanical, you'll be surprised that Bare for Bare delivers such at par quality with a fraction of the cost. The body range from Bare for Bare has always been delighting. As you use the shower gel ( transparent gel since they don't use unnecessary colorant), you will be captivated with the strong essential oils smell. For example this Rosemary range, not only it helps to nourish and hydrate. It also supplies all the wonderful benefit that comes together with the essential oils. It is the best range to use if you want to de-stress. Whenever I had a long day, I have been looking forward to enjoying a nice cold shower with Bare for Bare Body wash and lotion. If relaxing is your goal then do pair it with Lavender Pillow Mist (only RM 64.60 for 100ml). Just spray a bit on your pillow and I like to also spray it on my curtain and just relax. Enjoy the sense of serene using your sense of smell. 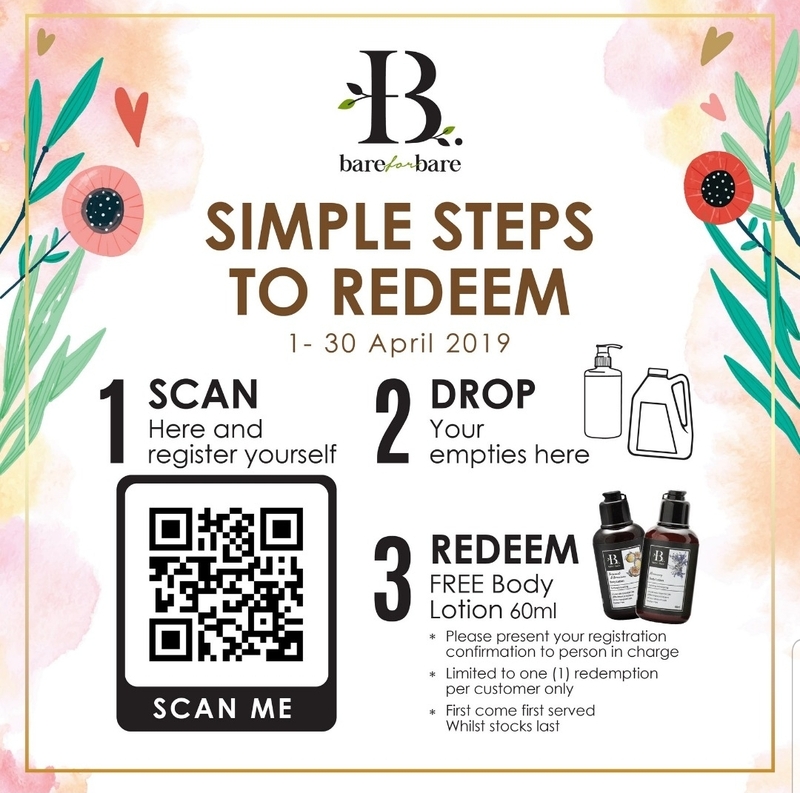 Want to try them out Bare for Bare for FREE while be apart to save mother nature? 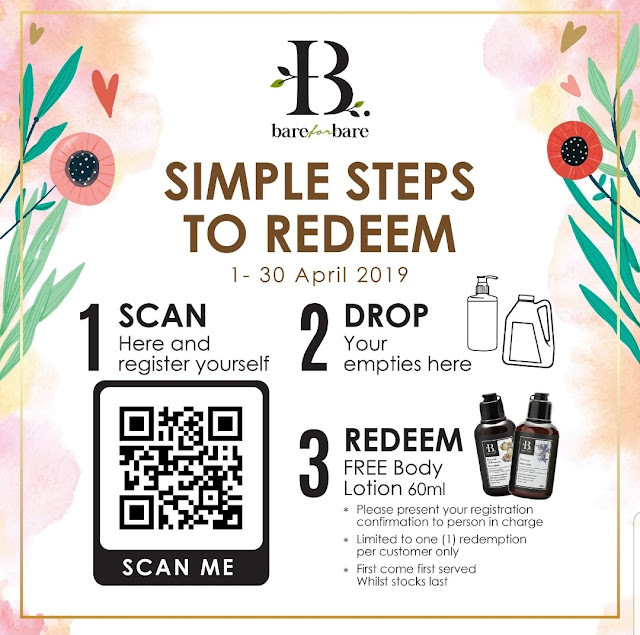 All you need to do, is just register at this website and then drop by your empty bottles ( any brand will do) then you get to redeem a FREE 60ml Body Lotion. Yippie yeay! Once you click the website , it will look like this. Just press start. Side note, the illustration on the right is so cute huh? Then fill up your details, just a couple of simple questions like so. All done, you will pick which outlet that you will go to drop your empty bottles and then redeem the product. Do take note that this recycling campaign valid the whole of April, and it is first come first served basis, so act fast! Even better, if you buy any of Bare for Bare range now don't forget to key in promo code illy20 for 20% off. Yippie yeay!! If you ever buying, I would recommend to really try out the Pillow Mist. 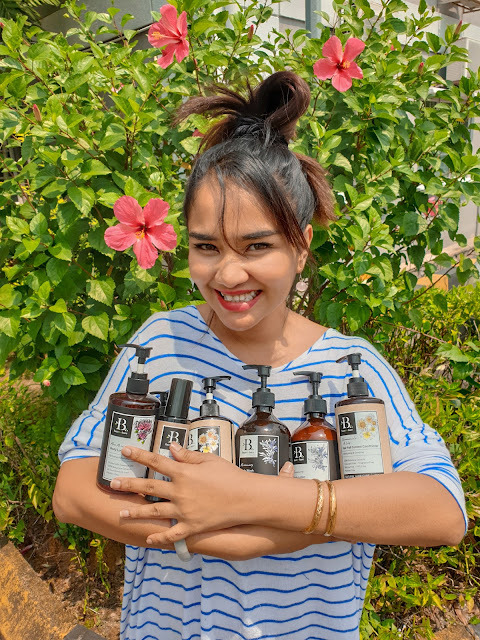 It is also the best time to stock up for a gift as they recently have a gift set that comes with super cute packaging and now that you get 20% it makes the deal even sweeter. You may use the code at the Lazada website or Bare for Bare website. Alright, we are at the end of this post and I hope you find it exciting. Happy recyling people!